Every woman loves her tresses and follows a particular hair care regime. Like different skin types, hair are also different for every individual. 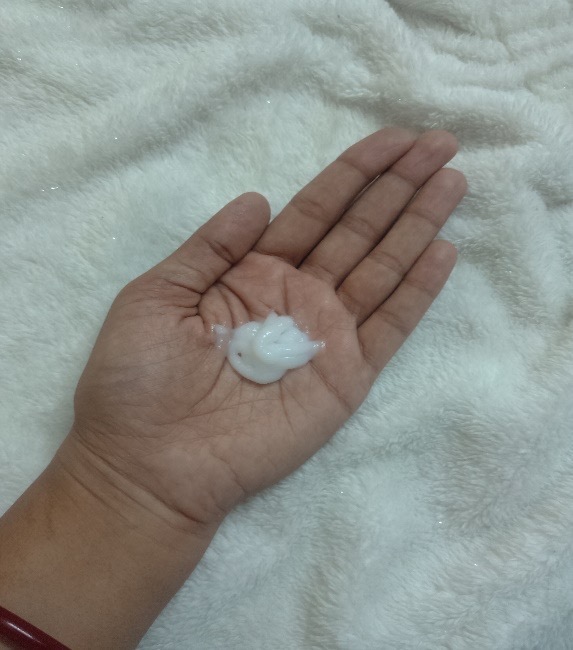 These days, hair are exposed to lot of things which adversely affect their quality. Chemical treatments, heat treatments, salty water, dust and pollution, stress and illnesses, to name a few. All these impact our hair severely. They make them brittle, dry, frizzy leading to hair fall. On top of it all, our busy schedules give us very little time to take care of them and nourish them in a way they really need. 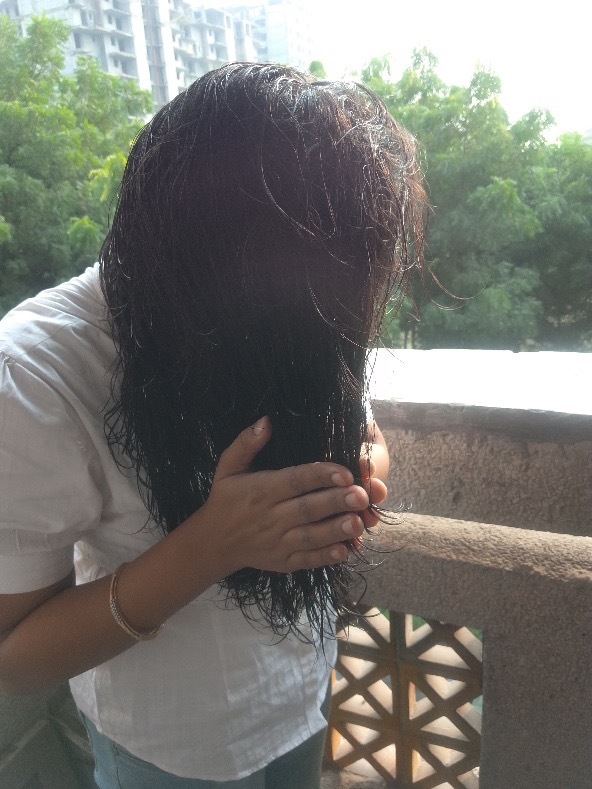 Before motherhood embraced me, I used to apply a lot of hair packs and other home remedies to take care of my tresses but now, I am left with no time to take care of my hair. All I do is apply oil at night before going to bed and wash them in the morning. But we all know the hassles of oiling. The stickiness it leaves on the face, the stains it causes on the pillow covers and sticky hair make it an absolute no-no for going out of the house. 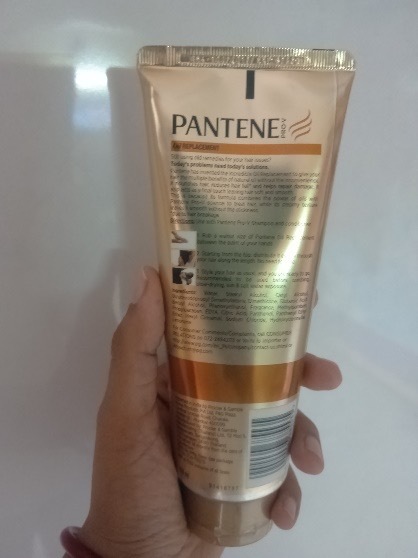 Recently, I bought Pantene Pro V Oil Replacement for myself. It comes in a golden coloured tube with a flip cap. It is in the form of a cream having a nice fragrance and non-sticky texture. 1. Wash your hair and towel dry them. Take appropriate quantity (about the size of a walnut) and rub it in between your palms. 2. Starting from the top of the hair apply it evenly on the entire length. 3. It’s like a leave-in cream. So, no need to rinse it off. Dry them and style them the way you do. 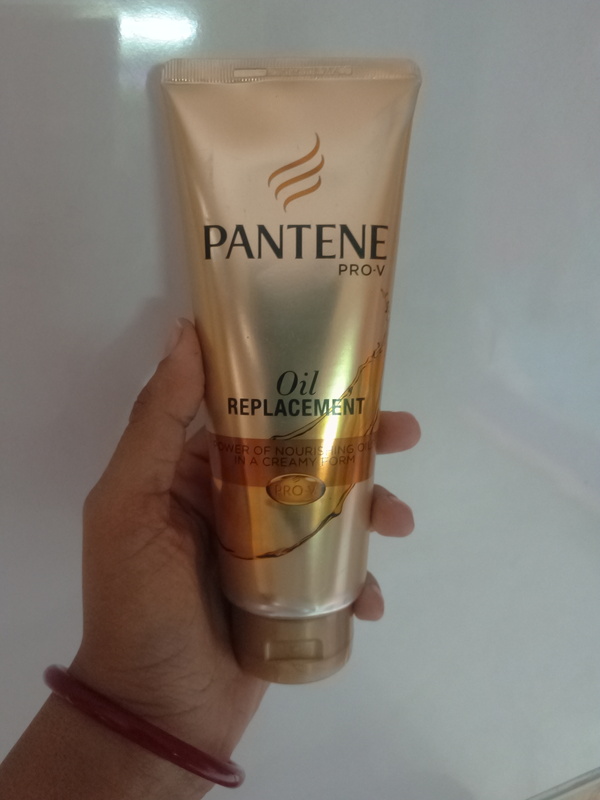 Pantene Pro V Oil Replacement nourishes the hair and protects them from the damage caused by chemical, heat, sun, pollution and salty water exposure. It acts as a shield against the damage causing factors. It is non sticky in texture and there is no need to rinse it off. It prevents the hair from becoming brittle thus helps in preventing hair fall due to hair breakage. It makes the hair soft, smooth and silky. It does not weigh the hair down instead gives a good volume. It makes the hair frizz free even after a blow dry. Pantene Pro V Oil Replacement provides nourishment to the hair and prevents them from getting dry. It can be applied before blow drying, ironing or going out in the sun. It can even be applied before going for swimming as chlorinated water damages the hair a lot. It helps in detangling the hair, which makes it helpful in combing them. I apply it regularly now after every wash. It is absolutely hassle free and gives me the goodness of oil. It does not make my hair frizzy even after drying them with a hair dryer and the volume it gives is something I simply love. It does not weigh them down but brings a bounce in my hair. It has made hair care simpler for me.